Electromagnetic Hypersensitivity (EHS) is so much more than an allergy, and treating it as little else dooms its victims to small worlds and big hits. Although there’s plenty of ‘allergy’ in electrosensitivity, there’s also a whole lot more to it. Recovery demands that we understand and work with it in a broader context. It demands a lot more than simply avoiding electrical equipment and wireless devices. 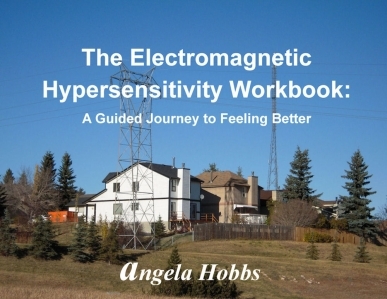 This unique workbook takes people struggling with Electromagnetic Hypersensitivity through a ‘groundbreaking’ approach to healing from this poorly understood condition.